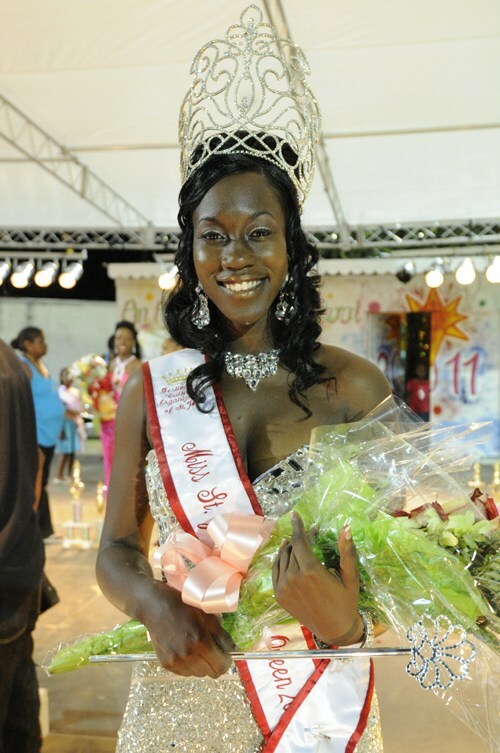 CHARLOTTE AMALIE — The 2011 St. John Festival queen has been ordered to serve at least two years in prison for her role in a massive cocaine trafficking operation. The former beauty queen, Kinia Blyden, was one of a dozen people who pleaded guilty to federal drug charges in connection with trafficking rings run by St. Thomas resident Nilda Morton, who used airline employees and others to smuggle cocaine through the St. Thomas airport. Blyden was arrested in connection with what federal prosecutors say was a conspiracy to smuggle at least eight kilograms of cocaine through security at the St. Thomas airport to the mainland United States. When Blyden, 23, was arrested Sept. 13 on a warrant issued Aug. 31 she became the third Virgin Islander to be arrested in a drug conspiracy case to smuggle cocaine though the Cyril E. King International Airport, according to the U.S. Department of Justice. Former U.S. Attorney Ronald Sharpe asked U.S. Magistrate Judge Ruth Miller to hold Blyden, Roniqua Hart and Taheeda George after they allegedly used their security clearances at the Virgin Islands Port Authority (VIPA)-run airport in an effort to move about 17.637 pounds of cocaine. On September 1, Hart and George were arrested by Special Agent Michael Day on warrants signed and sealed Aug. 31, 2016 by Judge Miller, Sharpe said in court documents. On September 3, Neal Chesterfield, 37, claimed he was on assignment for Gov. Kenneth Mapp when he was nabbed at the airport with nearly 50 pounds of cocaine and $26,025 in undeclared cash after trying to use his security clearance to bypass TSA after boarding a flight for Fort Lauderdale. Mapp has strenuously denied any connection to Chesterfield, even using the majority of a press conference called to announce the arrest of a police officer accused of killing two other police officers to make his case to the public. The chief executive even denied that Chesterfield was being paid to be his bodyguard even though public records indicate that he was Mapp’s “dignity security officer” with a pay rate of $70,000 per year. The U.S. Attorney’s Office called Chesterfield Mapp’s security guard in a prepared statement released to the public on September 5.